With its undiscovered plague pits, wartime damage, and plenty of tragedy like Jack The Ripper and beheadings at The Tower Of London, the capital easily has a more gruesome history than any other city in the UK. 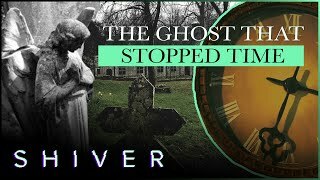 So, it's no surprise that there are some very well known ghost stories such as the hauntings of Drury Lane Theatre, Hampton Court Palace and Highgate Cemetery, but other creepy tales aren't so well known, these are the ten places in London that you probably had no idea were haunted. 1. Which former Prime Minister lived in a house which is said to be the most haunted house in London, 50 Berkeley Square? 2. Which central London park is the Red Lady said to haunt? She's said to be the wife of a soldier who, in the 18th century, lured her into the park and murdered here. 3. What was the professional of the female ghost that is said to walk the abandoned platform of Aldwych Underground Station? 4. At which London tourist attraction was a Grey Lady caught on CCTV opening a fire exit? 5. In which London suburb were the Hodgson family terrorised by a poltergeist in their home in the early 1970s? 6. Which recent movie was based on the events in Hodgson home? 7. Which of King Henry VIII's wives is said to haunt the Tower Of London? 8. Which famous hotel in London is said to be haunted by a ghostly elevator which is seen in room 502? 9. The Clink Prison is said to be plagued by frequent ghost sightings and poltergeist activity, but what is the former prison used as today? 10. Which London Underground station is said to be haunted by a mysterious tall man wearing a grey suit who disappears into thin air? 11. In which theatre was the ghost of a Man In Grey seen by a cast of 70 actors at once while they were on stage having a group photograph taken on stage? 12. Caesar's Nightclub in Streatham High Street is said to be haunted by a former staff member, Ruth Ellis, but what is she famous for? 13. 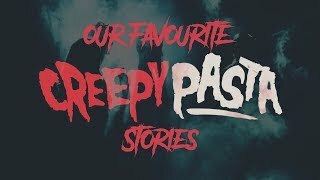 Which of these is reputed to be a haunted former school in London? 14. The Grenadier is said to be London's most haunted pub, in what part of London would you find it? 15. Which London hotel is said to be haunted by a German prince who is said to have died after being thrown out of a window?